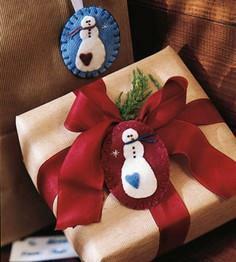 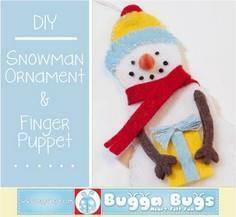 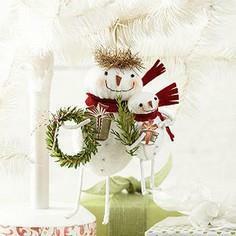 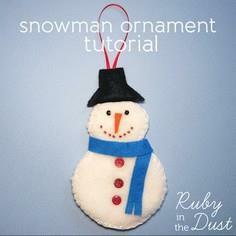 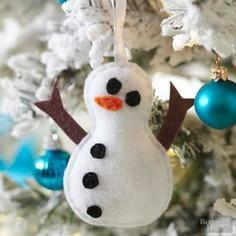 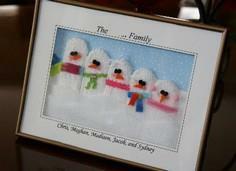 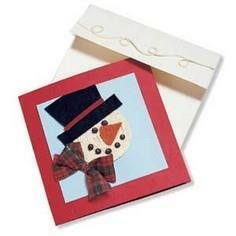 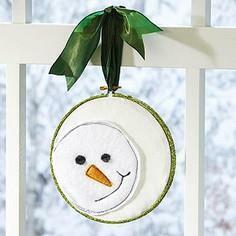 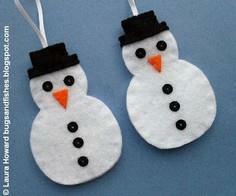 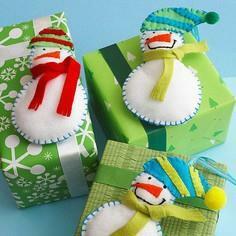 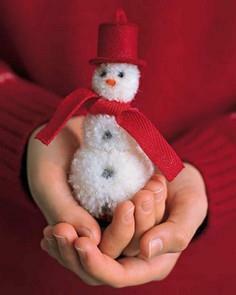 Children can have fun cutting snowman shapes from felt and gluing on embellishments or shaping DIY dough into charming ornaments. 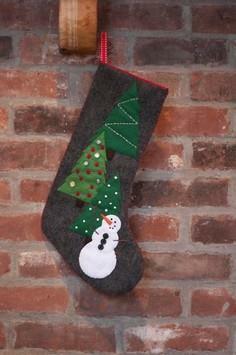 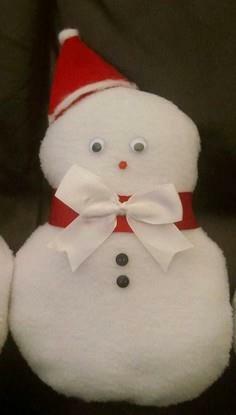 For advanced crafters, knit a stuffed snowman for a holiday centerpiece or add an appliquéd snowman to a quilted pillow or Christmas stocking. 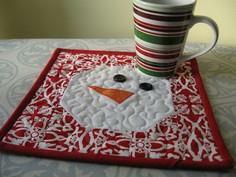 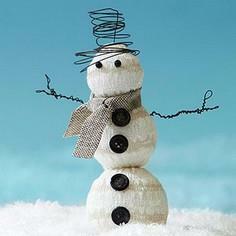 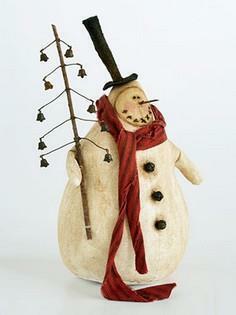 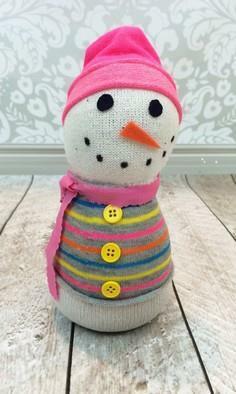 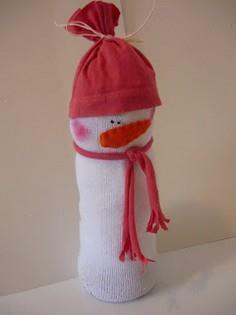 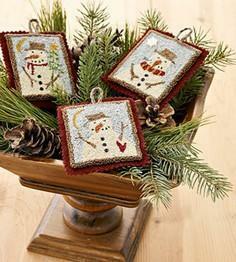 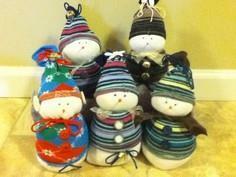 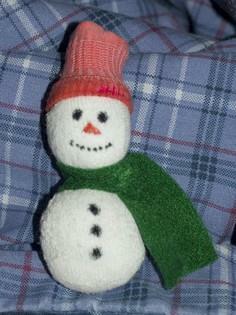 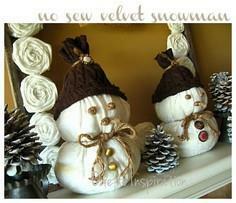 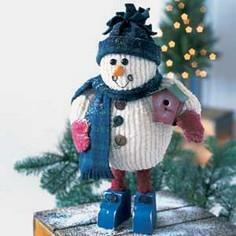 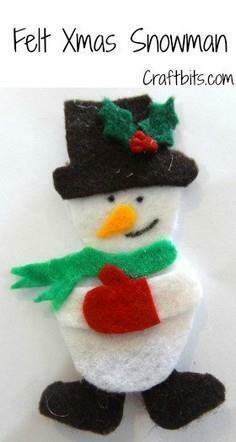 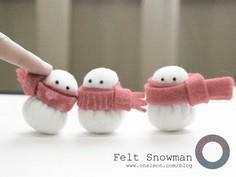 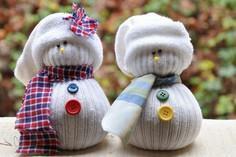 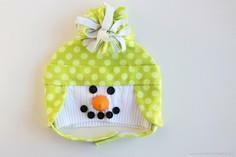 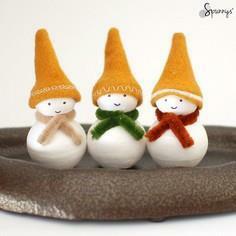 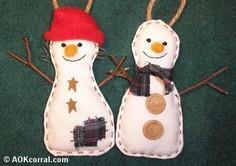 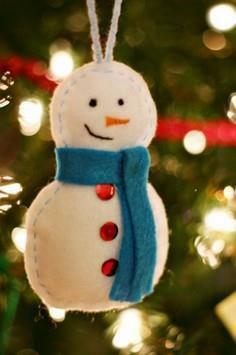 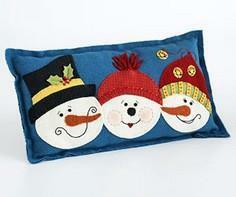 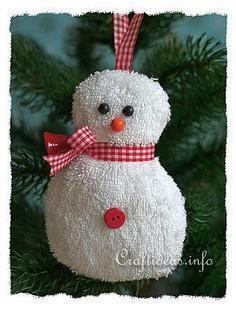 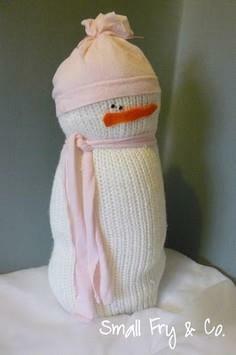 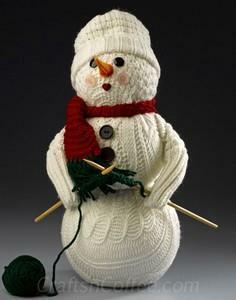 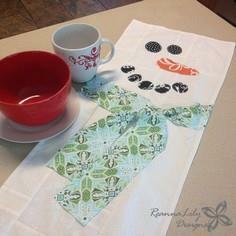 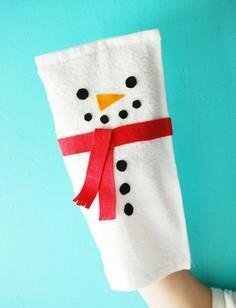 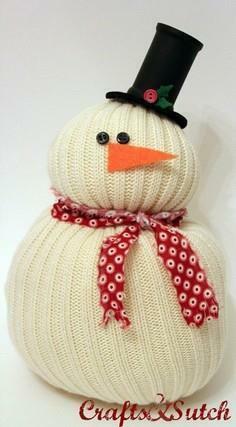 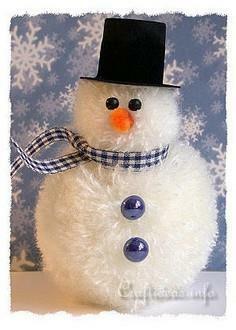 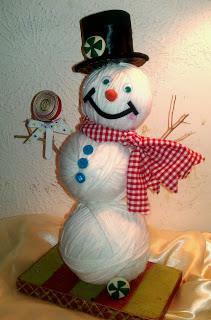 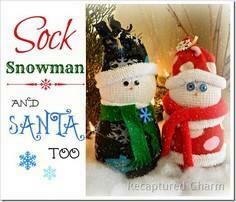 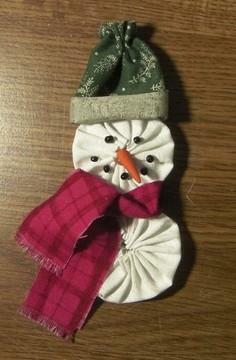 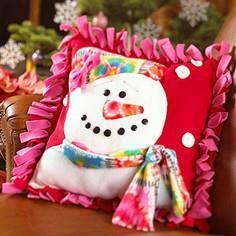 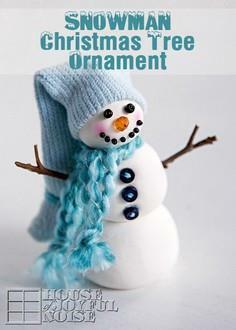 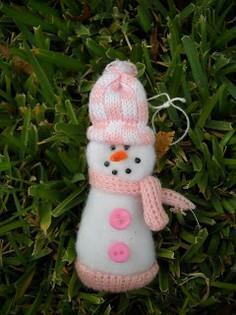 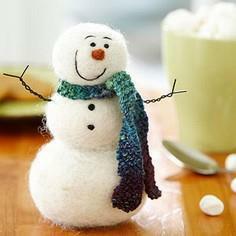 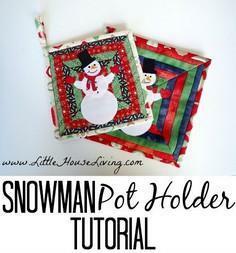 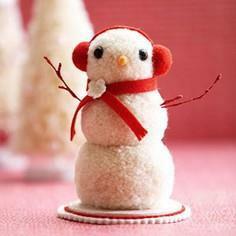 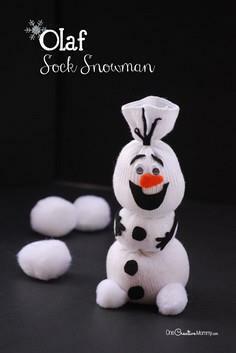 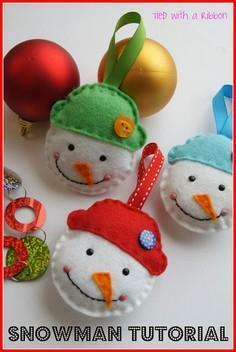 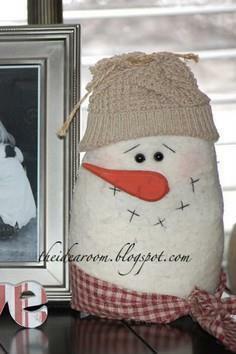 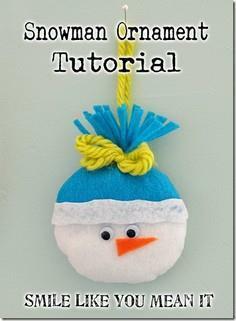 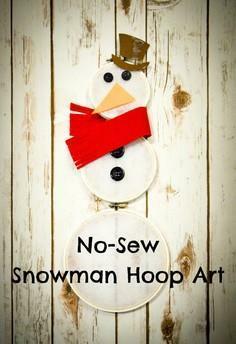 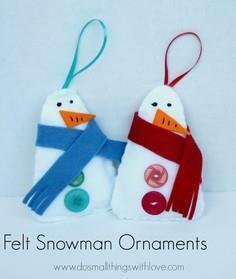 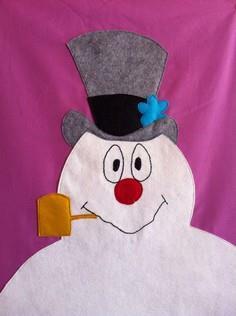 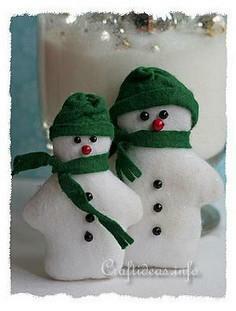 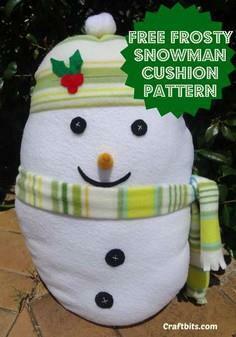 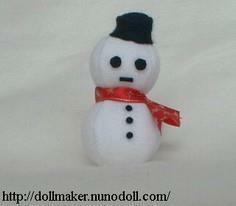 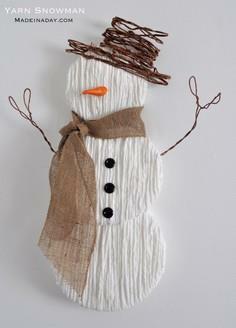 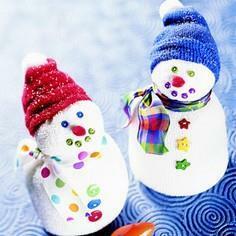 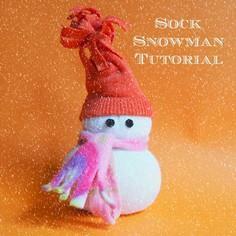 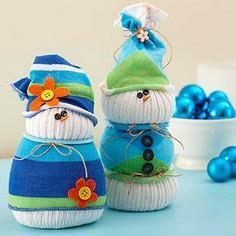 Upcycle a sweater to sew up a cuddly snowman and add reclaimed buttons for eyes and a nose. 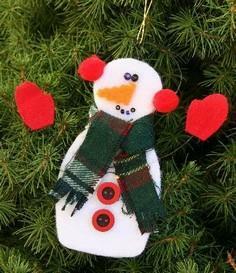 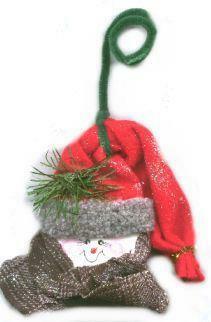 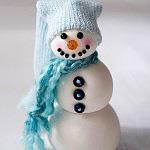 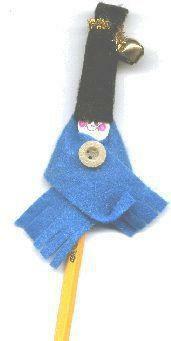 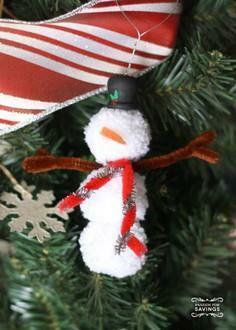 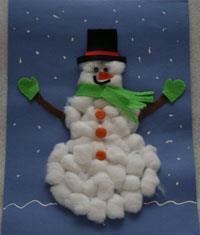 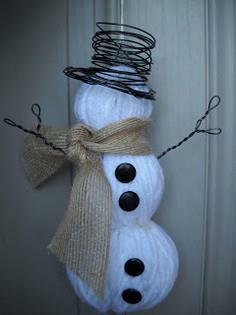 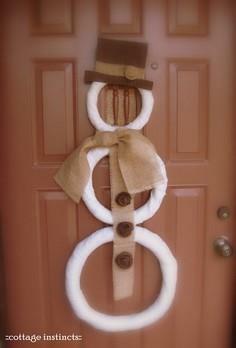 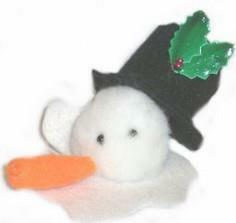 Kids can glue together purchased pompoms, add twig arms and a felt scrap scarf and top hat to create their own frosty snowman. 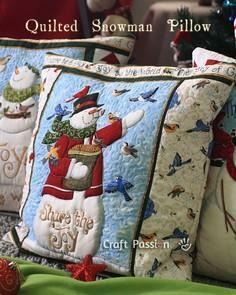 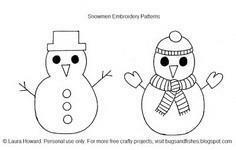 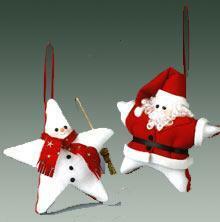 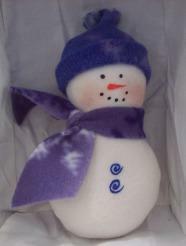 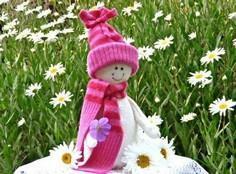 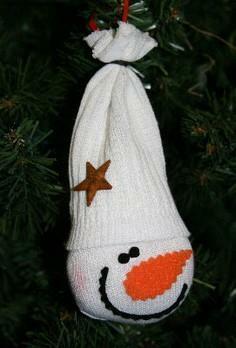 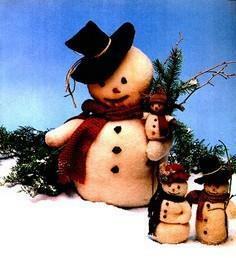 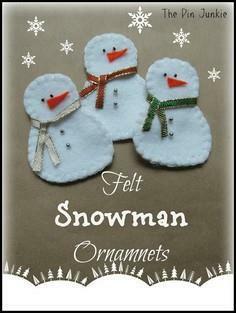 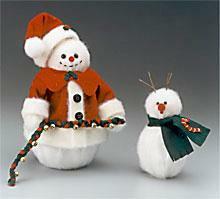 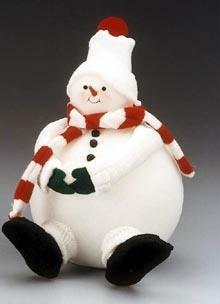 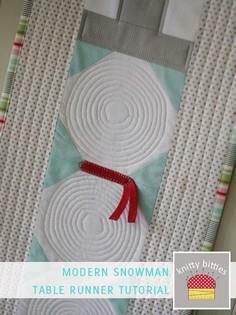 Snowman patterns to knit, sew, glue, embroider or appliqué abound in this great collection of free patterns for snowmen, snow girls and snow kids. 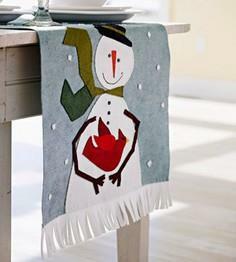 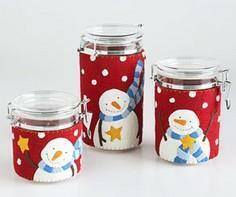 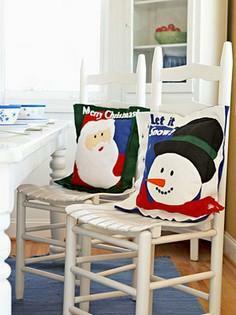 Whether you're looking for patterns for yourself or your kids, there are loads of cute, inexpensive and fun ideas to decorate your home for the holidays. 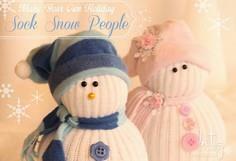 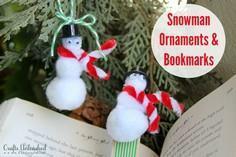 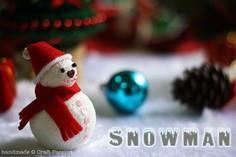 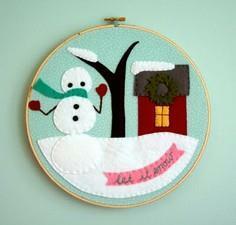 Holiday Tutorial: Let it Snow!